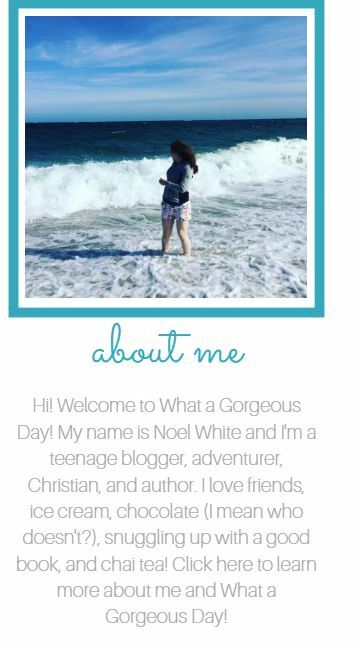 I am a teenage author, adventurer, and Christian. I love friends, ice cream, chocolate (I mean, who doesn't? ), snuggling up with a good book, and coffee. Life is an adventure and I'm an adventurer. Check out my About page to learn more about me! *Disclaimer: Sorry to all the What a Gorgeous Day dudes, but this one is for my ladies…feel free to read this post though, so you know how to treat the ladies in your life when their time comes. Hey Girls! So if you’ve made it this far, you probably already know about the monster that attacks all of us during our time of the month. Ah yes…shark week. That beautiful time where you’re practically dying of pain and disgust. Hey guys! Happy Friday! Today I finished my second week of school! How exciting is that? Although there’s a lot of work to be done, I’m super excited to learn all I can in my Sophomore year. Here’s something I’ve realized though: I’m beginning to have an increasing amount of homework and assignments, which need to be done in quiet and in my own space. That’s why I decided to work a little more on my desk and how to keep it organized, starting with the AMAZING clipboard organizers! Do you want to learn how to make them? Let’s get to it! Hey guys! What’s up with y’all? For me these past few weeks have been Crazy with a capital C. As I mentioned a few posts ago, my family and I recently moved from Lawrence, Kansas, to Texas, which was a huge transition for just everyone involved. Although there was a lot of negative that came from moving to Texas, there was also a TON of positives, including the AMAZING FOOD. I absolutely LOVE spicy food, and Texas is the Spicy Food Kingdom, so I’ve been living the life down here. But don’t feel left out, I’m about to share with you one of my favorite family recipes: Easy, Hot, and Cheesy Jalapeno Poppers. Let’s get to it! Hey guys! As I’m sure most of you have noticed, it’s almost school time again, and that means we are ALL trying to get organized and ready for the year. Well guess what? I’ve come up with 23 Back to school hacks and apps to make this year 100x easier for you! So what are you waiting for? Let’s make this year the best one yet! 4 Easy DIY Notebooks for Back to School! *Disclaimer: You don’t have to be in school to make these notebooks…they’re just that adorable! Hey guys! I’m gonna be incredibly honest with you: I am SO excited to go back to school. Yes, I hate the countless hours in the classroom, the drama, and the EXTREME work load, but I LOVE learning and keeping myself busy. Of course, it’s also easy to be excited about the new school month, when you have the CUTEST notebooks EVER! Hello everyone! Whats new with you? I’ve been so excited for this post, for a while now! I’m so glad you guys are FINALLY getting to read it! As I wrote in one of my recent posts, I recently moved from Kansas to Texas, which meant that I had to say goodbye to a lot of my friends. So here’s the whys, the hows, and the what’s of letter writing! Hello Everyone! I just realized that it’s been almost a month since I last posted! Of course there is no excuse for leaving you guys hanging, but as I mentioned in my last post, I recently moved to Texas, then I was on a mission trip in Puerto Rico. Don’t worry because I have a TON of fun things planned for the next few months! The Secret To Saying Easy Goodbyes + 2 GIVEAWAYS! I’m just gonna be honest here: the past few months have been tough for me. Like really tough. Like “I-feel-like-my-whole-life-is-falling-apart” tough. And I know you’re probably asking yourself the great big gigantic question of “WHY?”. Well don’t worry because the entire reason of this post is to explain the “WHY’s” and the “HOW’s”. Hopefully it will help you all as well, because that’s the entire mission of this blog: to help you all be the best you can! Don’t worry because I’m growing as well, and here is a place where we only accept honesty. Ready to learn how to say “Goodbye” easily? Hello everyone! For those of you who don’t know, last month I was in Niagara Falls, but what EVERYONE doesn’t know, is that I also spent a day in Washington D.C.! It was so much fun to see our nations capital, with is so rich with history and culture, even though I had only a short amount of time. So I thought I’d help people who might be in the same place I was, with one a short amount of time to see so much! 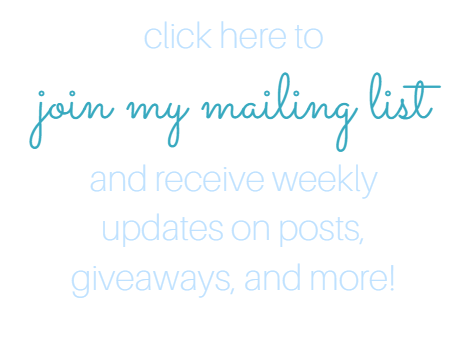 Enter your email to receive notifications everytime we post! All images and content is copyright to Noel White unless stated otherwise.